Up to 25,000 people a day are expected to attend the event when it takes place in Ireland this summer for the first time in eighty years. ALMOST 2,000 PEOPLE have already volunteered to take part in the International Eucharistic Congress in Dublin this summer, organisers have said. The congress, organised by the Catholic Church and taking place in Ireland for the first time in eighty years, is expected to attract around 25,000 attendees each day. The RDS in Dublin is to be transformed into a ‘Eucharistic Village’ for the eight day festival. “We are thrilled with the response to our call for volunteers,” said Paul Rooney, the head of volunteers for the Congress. The people that have come forward represent a diverse range of ages and backgrounds across Irish society. Our volunteers will be integral to the efficient delivery of the International Eucharistic Congress and their generosity with their time is remarkable. Éamonn Walsh, an auxiliary bishop of Dublin, will wash the feet of twelve volunteers at a mass this Thursday. The Congress takes place every four years with most recent events taking place in Quebec in 2008 and Guadalajara in 2004. 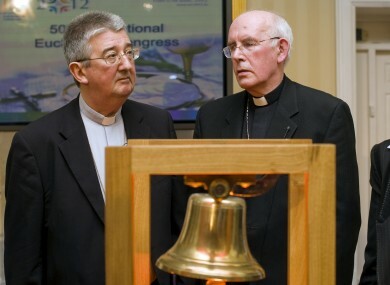 Around 80,000 are people are expected to attend the final mass of the Congress at Croke Park on 17 June. Email “Almost 2,000 volunteer for Eucharistic Congress”. Feedback on “Almost 2,000 volunteer for Eucharistic Congress”.